Sao Paulo is indeed the concrete jungle everyone promised me it would be. Every building follows a different design than its neighbor. It is not uncommon to see a small house between two high rises, connected by an overpass, simply because no one planned out how much space a business might need ahead of time. The city is always in a hurry, and it is no rare occasion that a pedestrian gets run over by a motorcycle flying around the corner, although there is apparently a movement to increase awareness. Throughout the city, there are a number of reprieves from the concrete, if not the madness, in the form of abundant greenspaces scattered throughout. Unlike what I initially thought, however, it turns out that rather than slowing down for the weekend, Paulistanos simply take their intensity to the park. 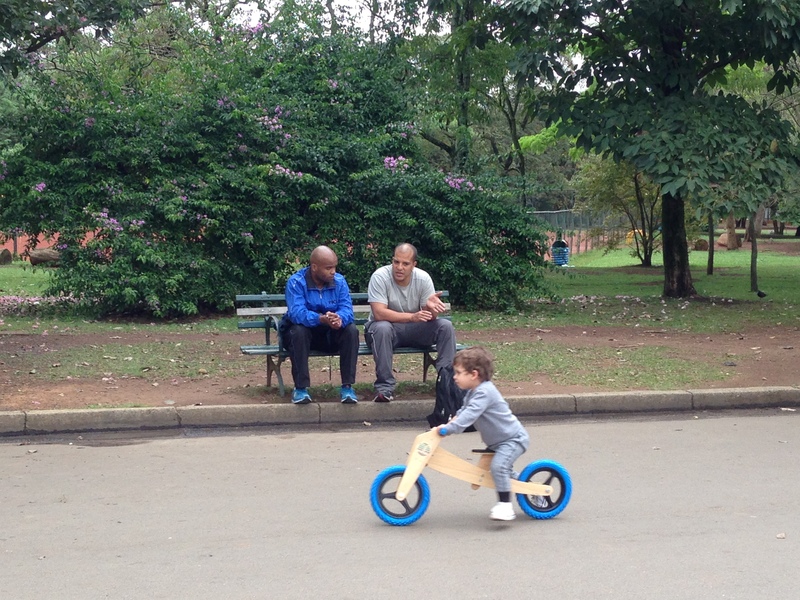 Yesterday morning, my roommates, Bruna and Maisa, brought me to Ibirapuera, the biggest park in Sao Paulo. Not surprisingly, 19.9 million other people had the same idea, and Maisa tells me it’s far worse when the sun is out. Still, as my almost maniacal smile in Maisa’s action shot illustrates, it was wonderful to be running with her, far away from the city blocks and the crazy traffic. 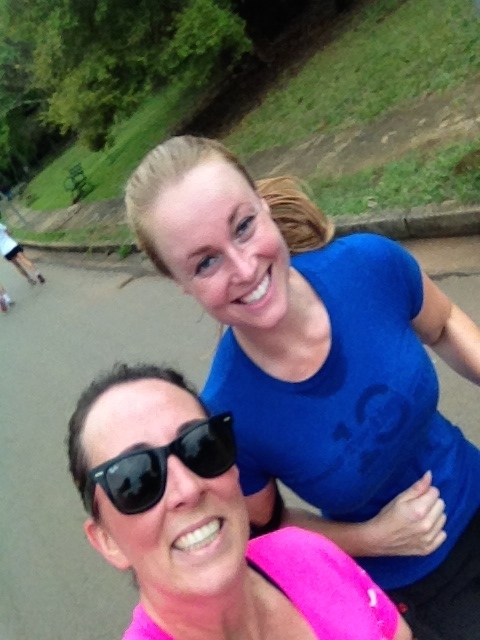 I had run to Ibirapuera once before from Tammy’s apartment, and, due to all the traffic interruptions, 2.5 miles took me about 40 minutes. This time Maisa drove us there, and it was such a relief to be running in the park where my only limitation was how quickly I could dodge the other runners and walkers. 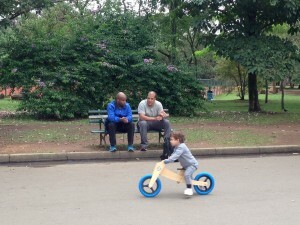 Another immense difference between running in the park versus around the city is due to a tiny, insignificant Sao Paulo fact that no one in the blogospheres seems to mention. Seriously, Sao Paulo bloggers, I want my money back! The fact is, this city is a crazy series of steep peaks and valleys, making even the shortest run a pretty unappealing proposition. My family went to Quebec City earlier this year, and Sao Paulo is actually quite similar, except with three times the area to cover and over 20 times as many people. When I first arrived, the hilly terrain was (and still is) by far the biggest shock.